We all need a little bit of silliness once in awhile, right? 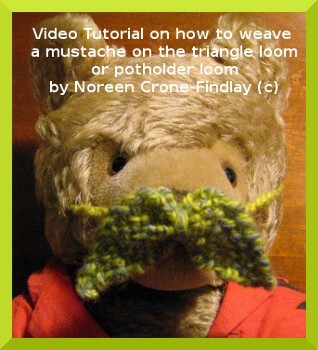 I was weaving with my tiny 3 1/2 inch triangle loom from Dewberry Ridge Looms, LINK and I discovered that you can weave an oh so cute mustache with them…. 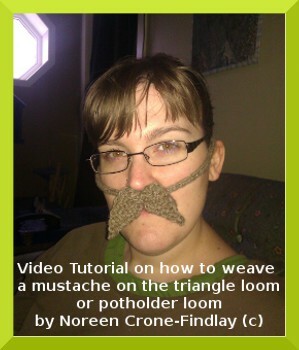 So, my silly gift to you is a video tutorial on how to weave a mustache on a little triangle loom (or a slightly larger mustache on a potholder loom). And, so did my teddy bear…. And, bless her heart, so did my darlin’ daughter in law, who spun the gorgeous Shetland wool that I used to make her mustache with. 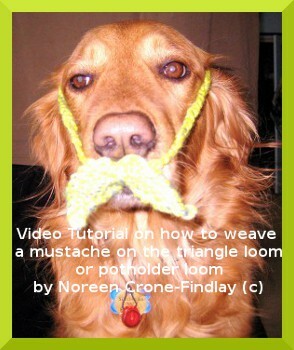 Here’s the video on how to weave yourself an oh so stylish mustachio!